Wall styling unit for men with 2 working places. Long top shelf in corian, with 2 integrated sinks. Integrated drawer unit under the corian top shelf. 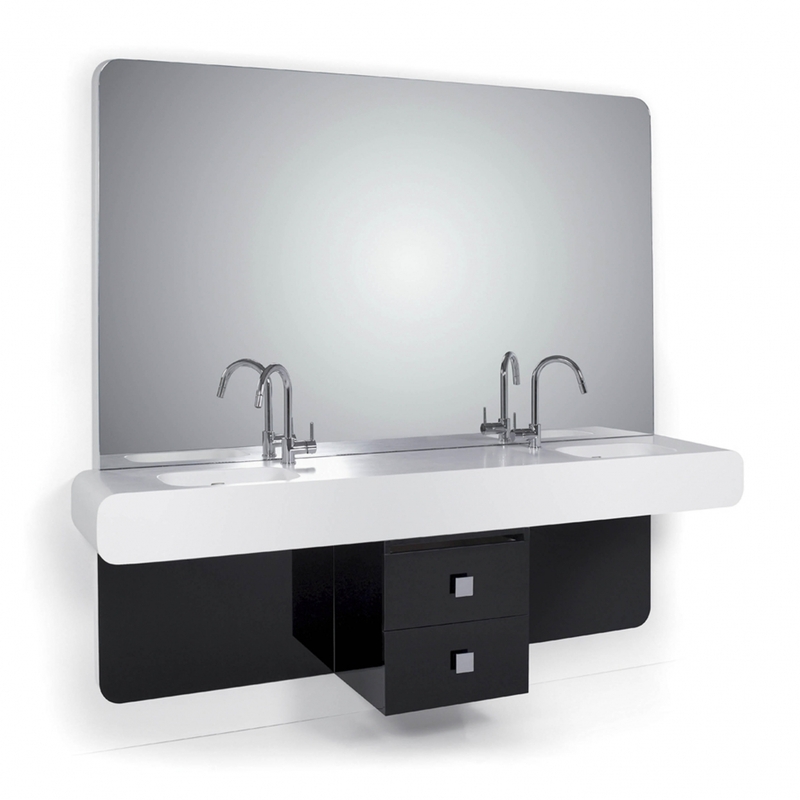 Also available in the 3 working places version, with 3 integrated sinks.